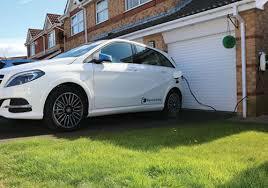 The government has announced that it is to invest £20 million in new technology projects that will allow electric vehicles to return electricity to the national grid. These vehicle-to-grid projects will investigate the potential of plug-in electric vehicles to not only draw power from the grid to charge their vehicles, but also the possibility of returning power back to the grid or to their homes. “Electric vehicles are already helping thousands of motorists cut their fuel costs, and now there is an extra financial incentive for motorists to go green. “The number of ultra-low emission vehicles on our roads is at record levels, with the latest figures showing that there are over 100,000 plug-in cars and vans registered. The submission process will begin in the next few weeks with the aim of awarding the grants in December to start early 2018.